For daughter, wife, mother, friend, and musician, Leela Aheer, ensuring that individual citizens are elevated, is important in having a successful government. “It’s the driving force in why I even participate in politics at all. It’s not about me, it never has been,” Aheer said. “My responsibility is to run a positive and thoughtful campaign, elevate people, and bring communities together,” she said. A governments role is to elevate the citizens, Aheer added, not trap them and make them believe they are incapable of making decisions. “My job is to inspire, build resiliency, build communities, and create spaces where businesses and families can thrive,” she said. Aheer believes that Albertan’s are resilient, and savvy and will do everything she can for the greater good of the province and the citizens. “I’m a proud Albertan, and I’m willing to stand up for resources including oil & gas, agriculture, forestry, manufacturing, and small business. “You have to be so crazy in love with your province to see the people who are doing these things as heroes,” Aheer said. “These are imperative pieces in understanding how you acknowledge the people in your province. We’re looking at these things at a fundamental level and not using people as political footballs,” she added. In addition to supporting the resources of the province, Aheer is dedicated to creating more job opportunities and boosting the economy. By focusing on introducing initiatives which will reignite the economy, the province will have the dollars to care for its people, Aheer said. “We’re all at the mercy of the what is going on with the economy, with policy, and the way the world views us. We’re coming to the fight already beaten up, and that’s a human rights issue for me,” she added. The goal is to change how the government interacts with people. By allowing reasonable discussions to occur around issues that are important, and for citizens to feel confident that their voices are being heard. “This is how you empower a province to become better. We have a responsibility to fight racism, fight bigotry, and make sure people feel comfortable” Aheer said. Unlocking the province’s potential is giving citizens the freedom to do what they do best, Aheer added, her role is to support Albertan’s. “I want to give credit to the beautiful people of this province on whose backs we stand because really, I’m at the bottom of the pyramid. 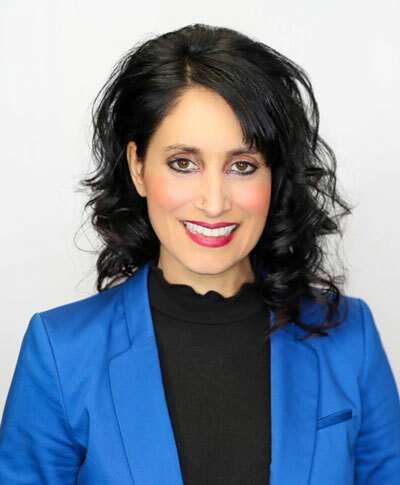 “I’m a servant leader, my job is to collaborate, to serve my constituents and my province, and I would prefer they stand on my shoulders,” Aheer said. 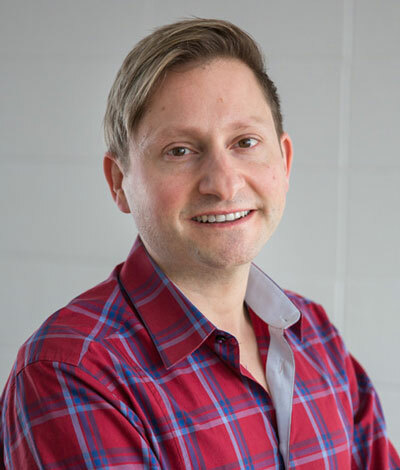 For educator Jason Avramenko, ensuring youth have a chance to stay in the province and thrive is the driving force behind his Alberta Party MLA candidacy. “I’ve always been interested in pushing our government to make strong decisions for the future Albertans that are growing up in my classroom,” Avramenko said. “I want government to foster an environment where my students are inspired and passionate about becoming Albertans, and staying Albertans, and don’t have to leave because of its social or economic policies,” he added. Significant issues for the Chestermere-Strathmore riding that Avramenko wants to focus on include decreasing class sizes in Chestermere by building a high school in Langdon. “Langdon still doesn’t have a high school, that boggles my mind. It’s frustrating beyond all belief because schools are community building,” he said. 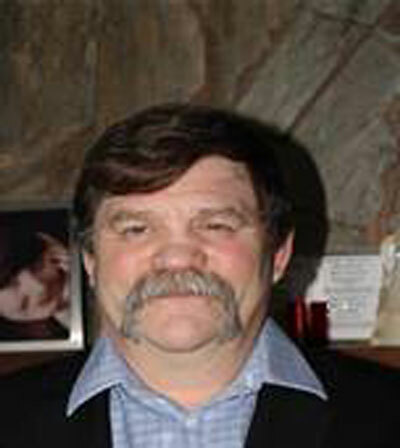 Another major issue Avramenko has heard from citizens in the riding is an increase in rural crime. To resolve the issue, crime watch organizations such as citizens on patrol need to be implemented, residents need to be educated on landowner rights. Crime deterrents, and police services need to be invested in and implemented. Avramenko wants Chestermere-Strathmore riding residents to know they don’t have to choose between voting far left, or far right, there is a different way. A priority for Avramenko is educating the youth of today in a variety of tasks so that they can be adaptable for the future. “I do believe that the world is changing faster than we can imagine, and if we aren’t prepared for those changes, Alberta will get left behind,” he said. Avramenko is also interested in supporting artificial intelligence, and autonomous vehicles. Which will not only contribute to job opportunities but also providing more efficient business transportation. “The Alberta party is legitimately open to new, untested, well-researched ideas, and they aren’t stuck in being an only oil and gas province,” he said. “Every party wants a pipeline, that’s not in question, but let’s talk about the rest of Alberta. Let’s talk about all the people who don’t work directly with oil and gas, let’s diversify our economy,” Avramenko said. “Other parties are too concentrated on pipelines, and oil sands, that’s fine, but we’ve talked that issue to death.,” Avramenko said. He added, the Alberta Party is outraged by the C-48 policy to ban oil shipments from the northwest coast of British Columbia. “It will cut off the ability to export oil except to the states. That’s one of the most destructive things they can do, that says to Alberta they don’t want us, and that’s a scary thing,” he said. Avramenko added he is the best option for Chestermere-Strathmore riding citizens because he will vote for anything that is best for the residents. “I believe in supporting small businesses, tax incentives, and lower corporate tax rates. “We can’t exclude people, it’s not an answer. By supporting everyone, we support Alberta’s long-term growth,” he said. Derek Fildebrandt first moved to Alberta because it was the only province where a young person could make a living for themselves, now he wants to bring the region back to where it once was. “I don’t think of myself as a politician. I think of myself as a representative of my constituents,” Fildebrandt said. “I make mistakes, sometimes speak politically incorrectly like normal people, because I don’t pretend to be a perfect career politician,” he said. Fildebrandt considers himself to be a libertarian, Alberta first conservative. He is conservative in his beliefs but is libertarian in that he believes if an adult is not hurting anybody else, it’s not the governments business. “I want to get the government out of people’s lives as much as possible, but also provide important core government services,” he said. 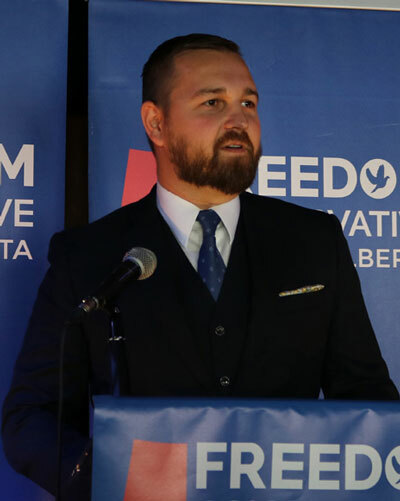 Being an Albertan patriot is at the centre of what the Freedom Conservative Party (FCP), stands for, Fildebrandt added, everything the party does is about putting Alberta first. We want to end Alberta’s treatment as a second-rate colony from Ottawa, taking back control over areas of jurisdiction of the constitution that other provinces are allowed to exercise, and ending equalization. “We need to make it clear to Ottawa that if we cannot be treated as an equal partner in Canada, that they will have to face the serious possibility of Alberta being forced to go it alone,” he said. While Fildebrandt has been working for the last four years advocating for improving seniors care, expanding and upgrading schools, and upgrading the Strathmore hospital’s emergency room, there is still more that needs to be completed. “I’m going to put a real focus on making sure we get a high school in Langdon, expanding primary education facilities in Chestermere, and sensible high way safety measures of all of the intersections of Trans-Canada Highway,” Fildebrandt said. If elected, Fildebrandt wants to bring in a strong caucus with FCP MLA’s who can speak freely and vote independently. “We don’t need any more MLA’s who are treated as clapping seals in the benches, who are there to read what’s written for them, vote as their told to and shut up,” he said. Fildebrandt doesn’t care if the media says he is too controversial, or if other parties call him names, he will always stand up for what he believes is right, and what’s in the best interest for residents. “I would ask people to trust me with their vote because I don’t pretend to be a perfect career politician, I’m a normal guy, and I have kept every commitment I have made in the last election,” Fildebrandt said. “As the leader of the party, I’m able to give a very loud and effective voice for our community that will not just represent our local interest but speaks across Alberta. I believe to be heard in Ottawa,” he said. 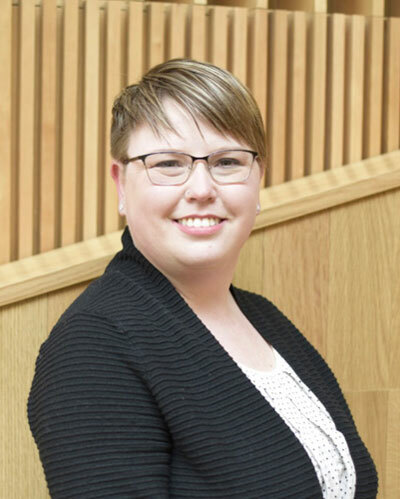 Melissa Langmaid describes herself as a regular everyday Albertan who is working towards ensuring the lives of residents is better by uniting the province, while working towards achieving common goals. “I believe in one Alberta, where we work for everyone, and we can rely on our public services to support us,” Langmaid said. Langmaid is dedicated to be a voice for the riding and will ensure that communities receive support from the government to continue to grow. Raised as a small town Albertan Langmaid understands the frustrations voiced by rural communities. Langmaid wants to fight for residents, and hear what they have to say, whether it’s at the grocery store, or over coffee at her kitchen table. That is the feedback she wants to take back to the legislature. “I want to be accessible, hear feedback, and represent our communities well,” she said. Her priorities include bringing new schools to communities, improving road infrastructure, ensuring adequate social supports are in place for seniors, and work on improving public transportation. One key issue Langmaid plans to resolve if elected Chestermere-Strathmore MLA is to continue to build schools in the growing communities, especially in Langdon. “I want to make sure youth are getting the best education that they can in our province. They are our future,” Langmaid said. “I will advocate for the funding and the commitments for that high school, even if that means I’m going to have some difficult conversations with collogues,” she said. She added, what’s currently being done doesn’t seem to be effective, as these are not new issues. “Generally keeping those supports in place would keep our communities strong and vibrant,” she said. The announcement Rachel Notley made regarding bringing $25 a day childcare to every Albertan if elected is essential for families in the Chestermere-Strathmore riding, Langmaid said. Affordable child care is extremely important for families, epically when many families in the riding commute to the city each day. “It’s a really meaningful way to reduce expenses for families and will make it easier for families to rejoin the workforce if that’s something they choose,” she said. Not only will the policy benefit families in the area, but it will also create more job opportunities in the community, she added. Langmaid believes she is residents’ best choice for MLA because the services and the supports that the communities need require public funding from the government. “Those are things that are important for our communities, and still need to be improved. The New Democratic Party (NDP), is the party that will be able to bring those supports to our communities,” she said. Langmaid wants to represent her neighbours and community members well while being a positive and strong voice for growth and development for the constituency, and for the residents. “There’s a lot of work to do, and I can’t wait to get started,” she added. Community-minded, blue-collar businessman Terry Nicholls wants to remove political parties out from the policy decision making with his independent MLA candidacy. “I don’t believe political parties are doing anything for us,” Nicholls said. “I want to help the community achieve prosperity by the downsizing of government, and make government accountable for protecting the people, protecting industries, and finding ways for economic growth,” Nicholls said. He added, citizens should choose an independent candidate because political parties are running scared of small interest groups, and criticism on social media from things they potentially said years ago that doesn’t fit society today. “We need to end the assault on free speech. Political parties are the ones that are fostering the political correctness that is killing free speech today,” Nicholls said. Removing political parties is the only way the large problems in the Chestermere-Strathmore riding will be resolved, he said. Significant tasks that Nicholls wants to focus on include getting the economy back on track, dealing with over regulation, over taxation, eliminating bad business practices, and finding alternatives for child and health care. “We need to reform our health care system, taxes, and education system,” Nicholls said. Instead of subsidizing daycare centres, families should have an opportunity to determine which education programs, sports programs, home care programs, or childcare programs the right fit for their children and family needs. “We need to find ways to help families deal with childcare that doesn’t rely on the school systems, because they’re becoming baby sitters,” Nicholls said. Nicholls has noticed common themes such as over-regulation, improper enforcement of the safety industry, and provincial certification issues while working as a safety consultant for the last decade. “I want to bring a focus to the thing’s the parties won’t talk about, things I’m calling the root causes to our economic problem,” he added. Nicholls has multiple things he wants to change for the Chestermere-Strathmore riding, including adding a transit system for residents to get into the city easily for work or shopping, and ensuring Chestermere keeps its identity separate from Calgary. “We need to find ways to help this community solidify its borders and make its council strong enough to oppose whatever Calgary council is deciding for us,” he said. Nicholls added, residents in the riding should vote for him because he is running independently, he is not interested in party politics, and he will not fall in line with the march of other parties and candidates. “I want to be an independent voice, independent decision-maker for my constituents, and parties’ criticisms or their threats won’t silence me,” Nicholls said. 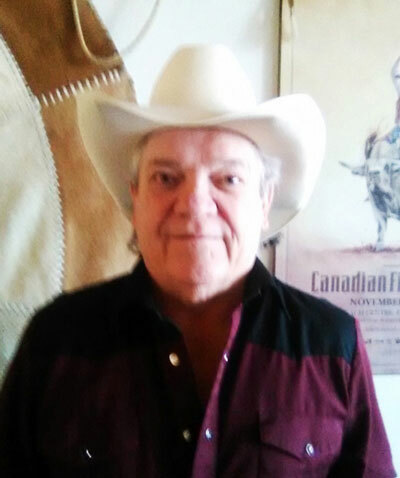 Born and ranch raised Albertan Roger Walker has been known to make strong political statements and is now taking it one step further with his Alberta Independence Party MLA candidacy. “I’m the guy who put up the sign saying, ‘More Alberta less Ottawa,’” Walker said. Walker describes himself as a true-blue conservative. He believes in having family values, honesty, integrity, and honest money. “My family and the success of my community are extremely important. What we’ve seen in recent years is the failure of the establishment,” he said. Walker added his goal is to look after his province and the citizens while securing the prosperity of the future for generations to come before it’s gone. Walker believes in a smaller government, with less intrusion into citizens lives. He added, the elite political class keeps Albertans pushed down to the point where two parents have to work in order to feed their children and pay rent, which breaks down the family. “Children are raised by the government, and they don’t have your values. They don’t know you, and we think that’s wrong,” he said. To ensure families can look after themselves, tax breaks will be used as incentives for people to have larger families. This includes ending carbon tax, GST, transfer payments, and lowering business and income tax, while initiating First Nation’s self-government. Policies can be put in place, but separation is the only way Alberta can be equal partners with the rest of the country, Walker said. Alberta has everything: energy, fresh water, and agriculture. The province doesn’t require much from anybody else in the world, except for the customer. Walker added that because of the natural resources the province has, Alberta is extremely wealthy and strong, but the province doesn’t get to keep what is made. “It’s absolutely ludicrous to think we can continue this way,” he said. “They keep us down by making promises they never fulfill. We will fulfill our promises and the first one is to take Alberta out of confederation and back to what we should have had in the first place,” Walker said. If the Independence Party can put the magic 44 in Edmonton within 30 days there will be a referendum on provincial separation, Walker said. “Our future is in jeopardy because we’re not managing it ourselves and being responsible. We can’t save all of Canada, but we can sure save our province,” he said.